If your premises suffers from frequent pest problems or you need to comply with current legislation or customer requirements, then you need our PestCheck service. PestCheck is a regular inspection and treatment programme designed to both prevent pest problems and eradicate them at the first stages, before they can cause damage or contaminate products, therefore protecting your business interests and safeguarding your reputation. The PestCheck service can be tailored to suit your needs, such as the number and frequency of inspection to be made and pests to be covered. For a no obligation survey of your premises and quotation, please call either of the following numbers, send an e-mail, or request a phone call. 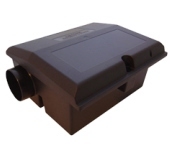 Round the clock monitoring and control by the use of rodent and insect monitors sited in your premises. Thorough inspection of your premises to identify any signs of pest activity, such as droppings, damage or indications via the insect and rodent monitors. Detailed reporting on pest activity, treatment carried out and any required measures to minimise or prevent pest problems such as; proofing, hygiene etc. Fixed price costings with inclusive emergency call-outs and follow up visits for specified pests made at no exta charge.